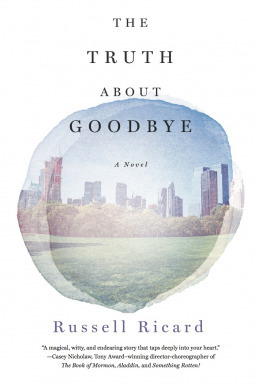 This entry was posted on Tuesday, May 16, 2017 and is filed under Book Review,Fiction,Giveaway,Grief,LGBT,Romance,Russell Ricard,The Truth About Goodbye,TLC Book Tours. You can follow any responses to this entry through the RSS 2.0. You can leave a response. Looks like a great read. Thank you for the opportunity to enter. Hmm. It sounds like this one had a lot of potential, but seeing as it didn't grasp all of its potential it fell flat in that aspect. It's such a shame about that :/ I would have been interested in this one otherwise. It had so much potential, but didn't really deliver. This looks like a good story. Can't wait to read it. It's interesting that the characters are so diverse. I'd like to see how it all plays out.